My Dell Latitude E6220 with a unique branding. 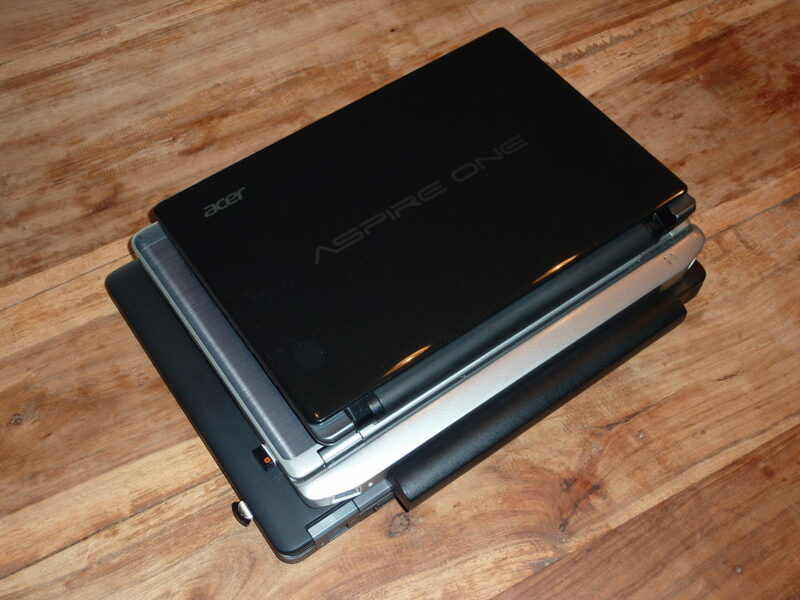 My backup laptop during the last two years has been an 11,6″ Acer notebook in a netbook size. “Backup”, as in “a second computer that works when machine no.1 doesn’t and else works as a logbook for amateur (ham) radio and other experiments”. Armed with an 1,5 GHz Intel Pentium 987 CPU, 8 GB of RAM and an SSD, it scored okayish on Geekbench and also has a very portable power supply (which in my mind is one of the most important aspects of mobile computing). The Acer, however, lacks VT-x, which prevented Virtualbox from running properly. And the irony is that I also have an identical Acer Chromebook C710 with a partly broken screen that I had bought for spare parts and managed to restore – which has a Celeron 847 CPU and thus an enabled VT-x. Notebooks in such netbook size are great, but they often come with horrible keyboards. The keyboard and the display seem to be the most important interfaces between the computer and a human, and as such matter more to me than things like battery runtime or a fancy size. And while I have come to appreciate the luxury of an IPS display on a laptop, the keyboard is still a bit more important. 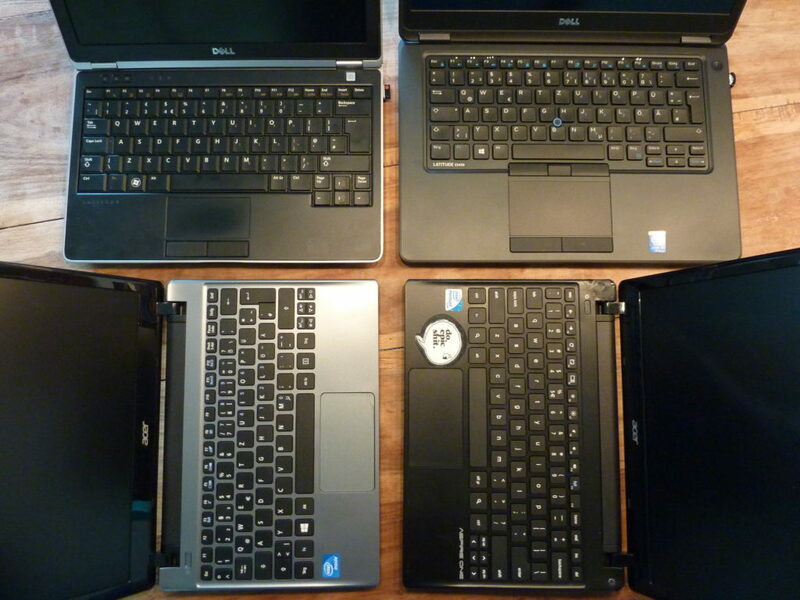 The other day I attended a flea market for ham gear and saw some refurbished Dell Latitude E6220 laptops. These are 12,5″ 2nd gen. i3/i5/i7 CPU with average TN displays but the same – illuminated – keyboard that also fits the 13″ and 14″ versions of this laptop generation (E6330 and E6430). 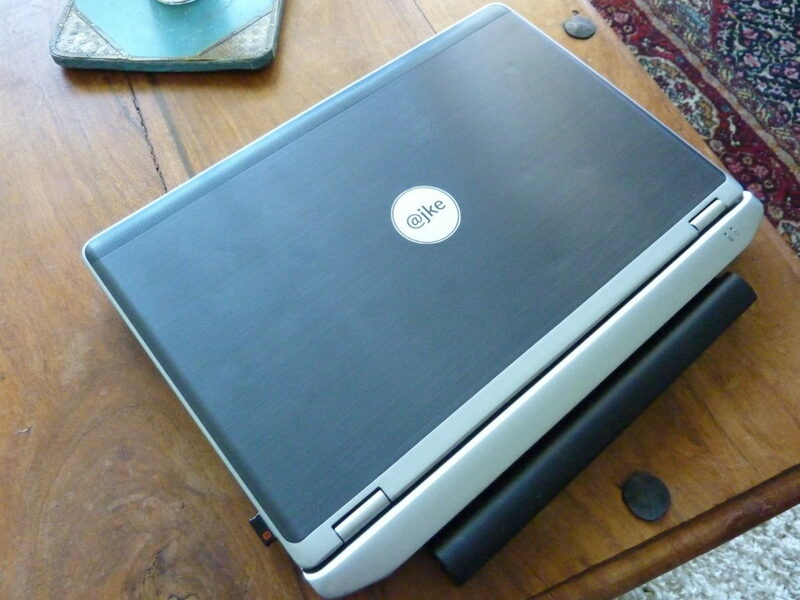 Being a previous owner of a very nice E6430, I was instantly hooked – also since my main machine is a Dell Latitude E5450 on a Dell docking station and a 24″ IPS display, so in case of emergency, a backup is just a matter of plug and play on the docking station. I managed to find a very cheap offer from the UK and received my E6220 in such a brilliant condition (for a used item!) that I am still wondering why it was so cheap. It only has the i3 CPU, so maybe that’s why, but this 2nd gen i3 is still better than the Pentium 987 on the Acer. And the keyboard is a joy to type on! When you’re a Dell fan boy like me, an older laptop from 2012 may still fascinate with its build quality and performance, especially when you have come to dislike the “Vaio”-style of modern plastic laptops. The Acer 756 is still ok in this regard (top cover, mainboard, bottom shell, bottom cover), but even modern ThinkPads meanwhile come with a top cover that has all further parts screwed against it. The Ultrabook design approach is ok for Ultrabooks and MBAirs, but I still prefer a middle frame. Which is also a reason for the Dell E54xx series over the (else better) E74xx series. My E5450 has everything I ever wanted in a laptop, I would buy it again any time, and I would probably only replace it with an E5470. So why this step backwards to a Dell Latitude E6220 with a bulky 6-cell battery and thick power cord, if instead I already own two (!) 11,6″ laptops? Is it love? I guess so. When I first saw the E6220 and even while ordering it on eBay, I was afraid that it would be like my old HP tc4400: a bulky tablet laptop that I didn’t really need. But I was proven wrong: the better CPU, a similar weight, a longer battery runtime than on the Acer, a bigger screen with an option to add the IPS panel from a Lenovo X220, an improved build quality and available spare parts for the next 10 years or so, dedicated buttons for volume control, a metal frame, VGA and HDMI like on the Acer, 3xUSB 2.0 and two 3.0 ports on the ExpressCard slot, an illuminated keyboard – all of these factors speak for the purchase of the E6220. And the option of reusing the aforementioned 8 GB of RAM and the SSD on the E6220 also add value (vs. buying a more recent 12″ Dell laptop that only accepts mSata SSDs). 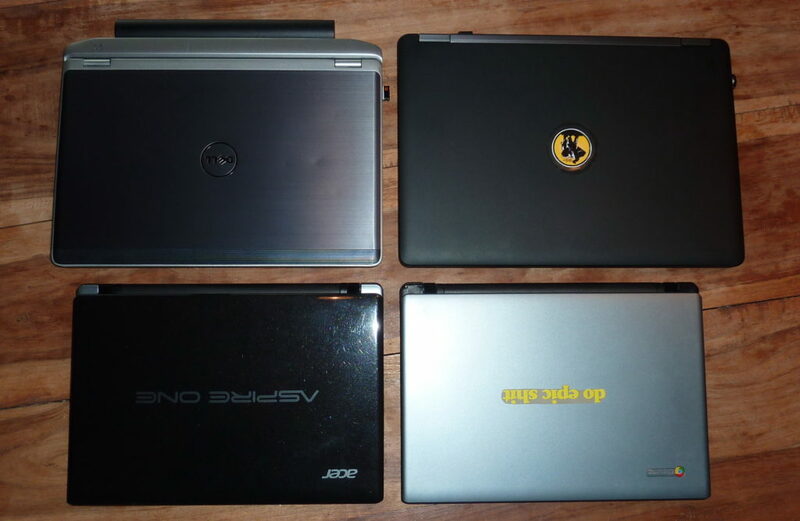 The Laptop Stack: the 6cell battery on the E6220 looks stupid. I can only recommend buying refurbished business laptops. Go and get a Dell if you don’t have other preferences. They are my choice these days (vs. Lenovo & HP). I paid less than 100 EUR on this Dell E6220 which imo beats any plastic consumer ware at your local electronics equipment market. Win10 included.